Cow girl necklace with charm and Czech glass beads. 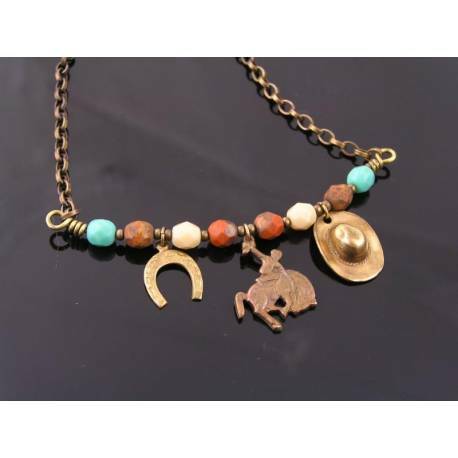 For all you cow girls out there: This necklace combines earthy brown and turquoise Czech glass beads with western/horse themed charms. 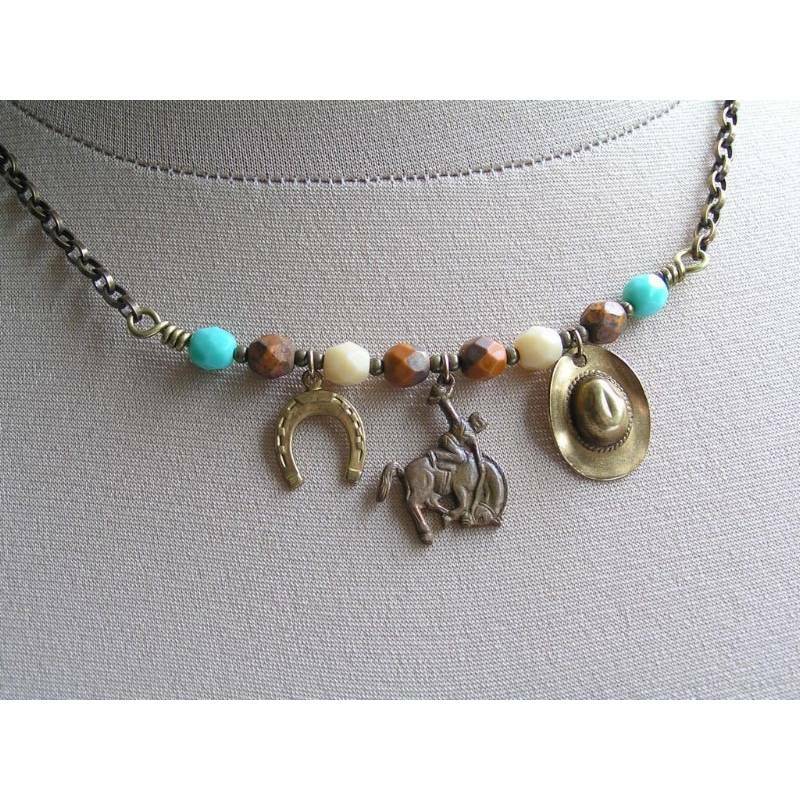 I chose a lucky horse shoe, a vintage rodeo rider and an authentic cowboy hat to team up with the Czech beads on a hand shaped pendant piece. 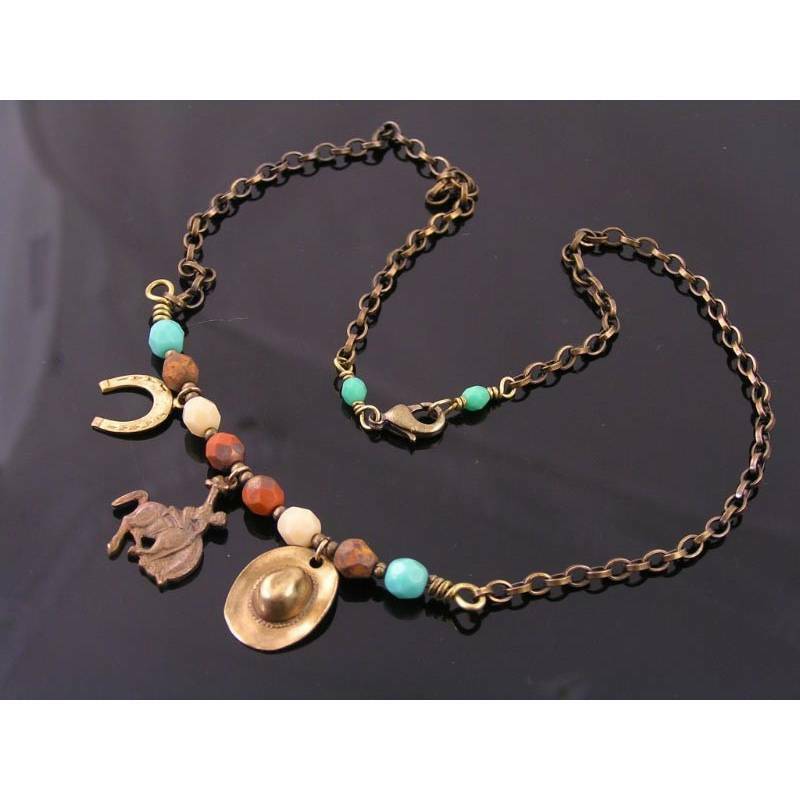 The main section is connected to a solid brass chain which closes with a secure lobster claw clasp. The clasp has two matching bead links on either side. The pendant piece measures 7.5cm across, the horse rider charm is 2cm high. All metal is solid brass which I hand oxidised and then sealed with a non-toxic jewellery lacquer to preserve the finish.